The Club Penguin Rewritten community page and blog has received a fresh new redesign, including mobile support, penguin avatars when commenting, polls, colouring pages and more! If you head over to the community page, you’ll notice the new design, and a blog post has been written on everything it features by Flippy here. On the blog itself, there’s now an option to like posts and comments, and your avatar will appear next to each comment your post since you now need to log-in! The new design looks really amazing, and the avatar automatically updating is a really nice touch which reminds me of the classic Club Penguin blog even more. 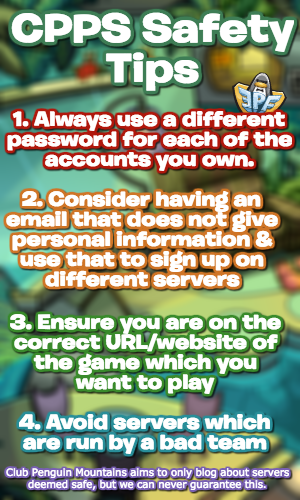 Be sure to check back for more of the latest news and guides, waddle on! Hi everyone, I just wanted to let you know that the Club Penguin Rewritten team have released a brand new blog post, and you can read it here! Card Jitsu Fire is going to be coming really soon, the Ice Rink will be making a return in the upcoming week, several bugs have been fixed and a lot more was mentioned in the post! I just wanted to make this post to let you know that the official blog post was released, in case you missed it, because it’s definitely worth checking out! Flippy has already shared some improvements, including mobile support, and the sneak peeks for those can be viewed here. But in the recent blog post, she also shared a slightly larger sneak peek of the homepage design, and this is how it will look like! Along with this, it’s been announced we’ll soon need to sign into our accounts when commenting! This is useful for preventing impersonation, but also looks cool. More information on this will be revealed closer to release, but it does look pretty cool, especially since not much was previously shared about the blog revamp for a couple of months. Some new sneak peeks have been released by the Club Penguin Rewritten team, hinting at what’s to come later this month! As always when this happens, I’ve analysed them to the best of my ability to share my conclusions on what I think they suggest. The official sneak peeks are from the top left in the image below, and the bottom image is my conclusion from the sneak peek in September! The second sneak peek seems to be a Card Jitsu card of the 5th Anniversary, and is likely a hint towards the 13th Anniversary Party of Club Penguin this month, but that’s already been confirmed. Although the Halloween Party has also been confirmed to start October 25th, the third sneak peeks seems to once again hint that the Haunted Mansion is coming in the party! It matches the tree in the Forest design perfectly! However, there is no concrete answer as to what the first sneak peek is. Update: A new theory shared by Hunter J suggests that the first sneak peek might be the binoculars at the Cove! October seems to be a very promising month, and I’ll definitely keep you updated on anything else that gets revealed! Thank you very much for reading, waddle on! A new series has been started on the official Club Penguin Rewritten blog – Featured Fashions! You can see the first article here. Every Wednesday, three random penguins who staff have seen on the island will be picked and their outfits will be featured on the blog. Although I won’t be posting about it here in the future, it comes in a fancy design and you’ll win 5000 coins! This is a short post, but I just wanted to let you know. Good luck in being featured! A new blog post has been released on Club Penguin Rewritten, containing tons of information on future updates to Club Penguin Rewritten, and you can view it here! You’ll notice that it appears (not confirmed) to be the Haunted Mansion is going to be making a return to Club Penguin Rewritten in October! This is hugely exciting news, as it’s from the 2012 Halloween Party, which is an all time favourite! It was also revealed that the Gift Shop will have the same custom music as last year for the Halloween Party. The Fair is also likely going to be this month’s party! Thank you very much for reading, waddle on! Three sneak peeks have been released, hinting at what’s coming this month to Club Penguin Rewritten, and it looks very exciting, with potentially even Card Jitsu Fire being added! As always in this post, I’ll be sharing some of the most popular theories for each image, starting with the first one, so feel free to skip this bit if you don’t wish for any spoilers. The following is all a theory based on these sneak peeks and is not confirmed. The first image seems to suggest that Card Jitsu Fire is coming this month, due to the large amount of orange, which looks like flames! It was already likely to release this year, and perhaps the game will release within in the upcoming days! As for the second image, a small picture of a mountain, that seems to line up with my previous prediction post which states that the Great Snow Race is likely coming this month. This is because there’s only one room which really matches up with the picture. This is the Toughest Mountain, and you can see in the background the two pieces of snow featured in the sneak peek. There are only two parties from classic Club Penguin which used this room: The Great Snow Race and the Mountain Expedition, but the Mountain Expedition already happened last year and is unlikely to return again. As for the third image, it could be just about anything, perhaps even something custom like last time! There’s not really been a solid theory to prove what it is yet, so I can’t really share much. Update: Hunter has discovered that it’s likely the Ice Rink from the Penguin Games, which is confirmed to be the party! Either way, August looks to be a very exciting time for Club Penguin Rewritten! Thank you very much for reading, be sure to check back for more of the latest news and guides. Waddle on! 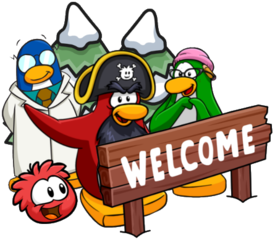 CP Rewritten: July Parties – Rockhopper’s Quest & Island Adventure? Club Penguin Rewritten has released a sneak peek, containing three images, which are a hint towards July’s parties this month! These three sneak peeks were posted on the official blog, and with some decoding, the community seems to have figured out two of the three hints! The Theory: Firstly, the newspaper has already confirmed that Rockhopper is visiting this month, and the Island Adventure Party & Rockhopper’s Quests are well known parties for him to visit. However, which one? Well, based of the sneak peeks, we can assume both! The night sky seems to be from the sailing to “Shipwreck Island” – this is a super cool party called Rockhopper’s Quest. The second sneak peek of a boat matches the Iceberg from the Island Adventure Party perfectly, but this is a completely different party. The third sneak peek, well, nobody is exactly certain yet as there are so many pictures out there with a similar background, but once a breakthrough is made, I’ll be sure to let you know! We already knew that the Island Adventure Party was likely, but now it seems that the team are planning a combination of two parties: the Island Adventure Party & Rockhopper’s Quest! This definitely matches up with what Joee, an administrator, said earlier today. I’m as such confident that we will be getting a combination of Rockhopper’s Quest and the Island Adventure Party, which would be amazingly fantastic and exciting! However, that’s just my interpretation, and you can use the official sneak peek to come to your own conclusions! Either way, July is set to be very exciting, and I can’t wait! Thank you very much for reading, waddle on!